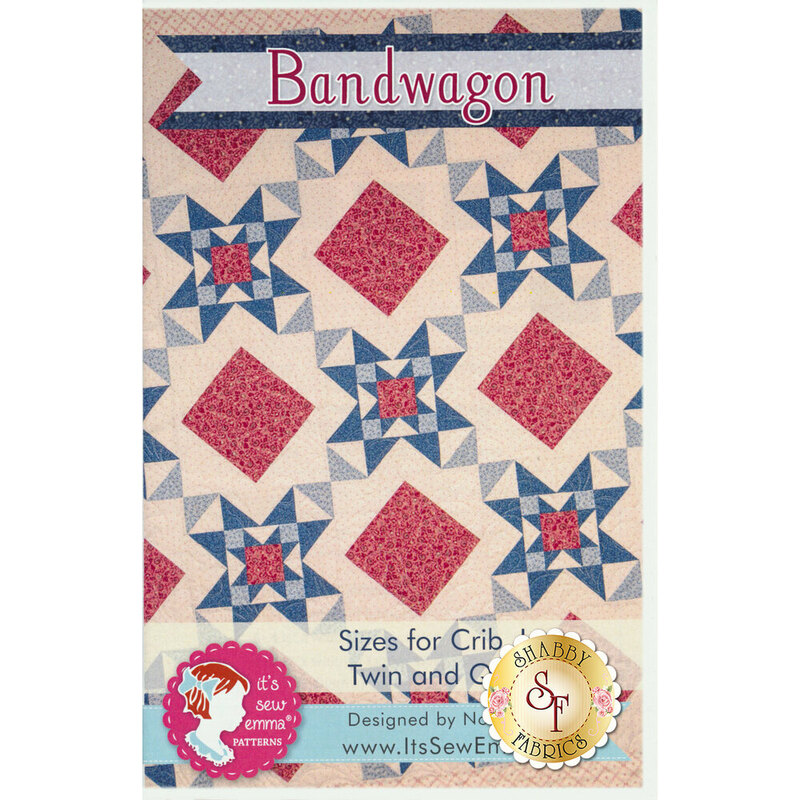 This Bandwagon Quilt Pattern designed by Nova Birchfield of Its Sew Emma will be perfect for your next home decor project! 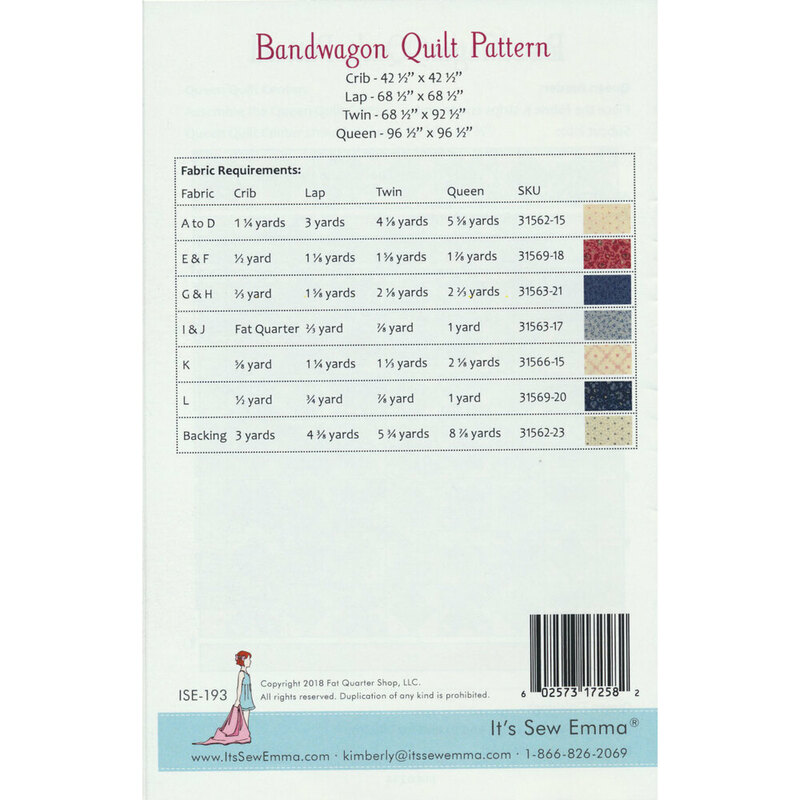 This pattern includes assembly instructions and colored diagrams! Crib - 42½" x 42½"
Lap - 68½" x 68½"
Twin - 68½" x 92½"
Queen - 96½" x 96½"